Omar Music System ROLAND E-5 Sample Library Vol 1 KONTAKT | Free eBooks Download - EBOOKEE! 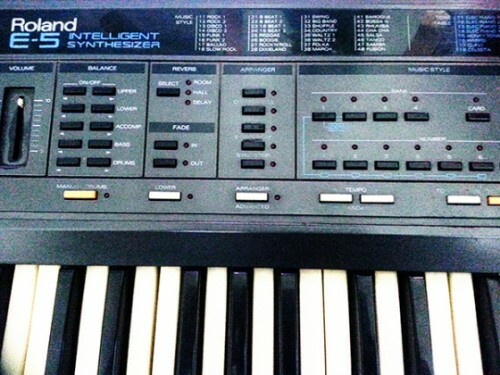 Roland E-5 Intelligent Synthesizer E-5 IS the First Generation roland (Produced 1988-1991) E-series used the advanced LA Synthesis system as used on the legendary Roland D-50 its core sound engine,Roland would go on to dominate the home keyboard market in the 1990s with subsequent generations of the E-series line. â€¢ Multiple Velocity Layers Contains 7 presets AND ( MANUAL DRUMS & THE E-5 MUSIC STYLE (Additional Wav). No comments for "Omar Music System ROLAND E-5 Sample Library Vol 1 KONTAKT".